As classic movie fans descended on Hollywood Boulevard for the 8th annual Turner Classic Movies Film Festival, feelings of excitement, love, and anticipation filled the air. The Hollywood Roosevelt, the main headquarters of the festival, is decked out in the warm hues of this year’s banner images claiming this section of Hollywood and Vine as “TCM town” for the weekend. It all adds to the anticipation of the next three days yet there is an empty feeling all of us are trying to shake: this is the first festival since the passing of Robert Osborne. 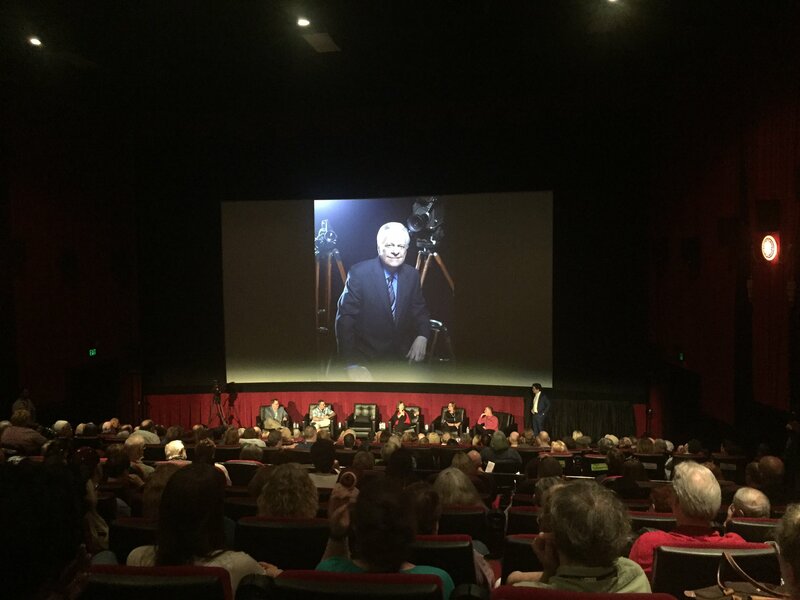 The first official TCMFF event I attended was “Remembering Robert” a panel featuring long-time colleagues sharing stories about the man all of us loved but many of us never even met. I’ll admit I was hesitant to attend simply for the fact that I did not want to be a sobbing mess but then I realized this was the chance to learn about the man Robert Osborne was by the work family who knew him best. As a colleague, Robert was a man who helped lift everyone up. He may have been the face of TCM but he didn’t act like it. Programmer Charlie Tabesh shared how he treated everyone with respect. “Robert had a monthly ‘Bob’s Picks’ (block) that we worked with him every month to get his collections. For the most part, and really to his credit, he knew so much more about classic movies than we all did but he didn’t really interfere for programming. He took what was programmed and was respected it,” Tabesh said. As TCM fans, we expect nothing less from Robert. On the channel you saw his compassion and interest in everyone he interviewed from Hollywood legends like Shirley MacLaine to even Kermit the Frog. We did learn that one person actually ‘intimidated’ him and it’s someone you may not expect. It was Judge Judy. Robert was a big fan of her show. And while interviewing Hollywood legends was his job, he was just a fan like the rest of us. Legendary French actor Jean-Paul Belmondo was a guest at one of the earliest TCM Film Festivals. One of Robert’s colleagues told us that after the interview, Robert was giddy as a kid exclaiming, “I can’t believe we got Jean-Paul Belmondo! !” Classic movie historians, they’re just the rest of us! I express my deepest condolences to Robert’s colleagues and Diane Baker. Despite this tragedy, it’s beautiful to see how they are following his example. Even during this difficult time, they are sharing their love of film and Robert with all of us this weekend. Every staffer I’ve spoken with has been unbelievably warm and friendly. Robert would be so proud. “Grow where you’re planted.” I love that! It’s like he’s still looking out for us. :*) Thanks for such a warm tribute post!